Decorating the home with flower vase brings an elegant look. 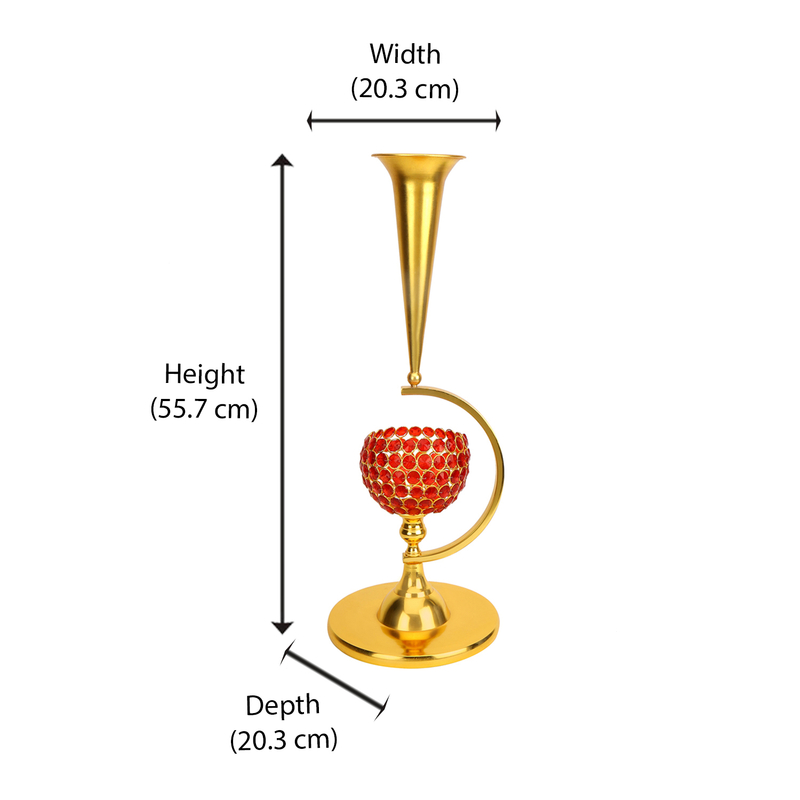 To make your decoration more beautiful get the Nilkamal’s Crystal Vase Stand Votive. This votive holds the vase stand well and brings a stylish look to the ambience. When decorative flowers or candles are kept in the vase, it makes the ambience prettifying. These crystal vase stand votive can be placed in living room, bed room and waiting room. They can also be used in offices, hotels and resorts. This votive is made of metal and plastic which gives additional strength to it. The crystal vase look adorning. They can also be gifted to friends, relatives and colleagues. This would be really amazing. Please scroll down to look our other exciting products.